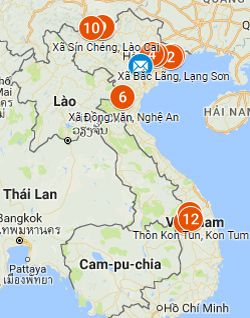 In order for the community to be proactive in monitoring, evaluating and having a say in development programs, the Bridging Bond project is being implemented in the provinces of Son La, Bac Kan and Dak Lak. In 2019, the project is in an experimental phase, with the goal of obtaining a mobile application for local people to share and use the monitoring information of the hydro-induced resettled communities and households. 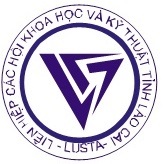 A meeting to set up a monitoring indicator framework was held in Hanoi from March 17 to March 19, 2019. CARE Vietnam collaborated with partners (CIRUM, WARECOD, GFD software design company and Bac Kan Women's Union) to host the event. In the first phase, the project focuses on resettlement areas due to the impact of hydropower plants. Participants discussed and got better understanding of the necessity of reliable information, reflecting community voices, and helping organizations and individuals to improve evidence-based advocacy and implementation of resettlement policies. In the next phase, the participants will continue to find people willing to participate in monitoring on the basis of collecting information from other community members. Participants will be fostered with the skills to use mobile applications, enter data, use information to analyze, contribute opinions for improvement of the implementation of resettlement policies. The "Bridging Bond" project sets an ambitious goal to develop a similar application for monitoring various development programs with wider participation and reflection of the community's direct voice on development programs in the coming years.